A second crane has joined in the action at the Gaslight Square construction site in Rosslyn. 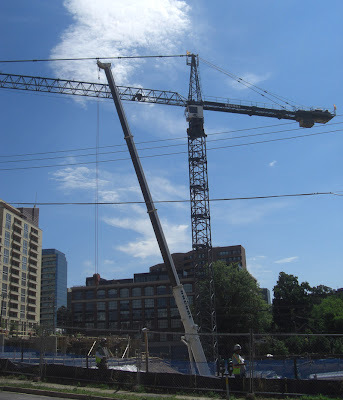 The second crane, although not as big as the first, looks stronger and has a more manly shape. Construction creates noise and dust in the neighborhood. Learning to appreciate views of cranes provides some compensation.